Johnson & Johnson (NYSE:JNJ) recently posted its Q3 numbers, which were in line with our estimates, led by a ramp up in key oncology drugs – Darzalex, Imbruvica, and Zytiga. The company’s Consumer Healthcare segment also saw a low single digit revenue growth, led by Beauty, while the Medical Devices segment saw no change in revenues. The company has revised its full-year 2018 revenue guidance to be in the range of $81 to $81.4 billion, and earnings range of $8.13 to $8.18 per share. As we look forward, we continue to believe that Pharmaceuticals, led by oncology, will drive the company’s near term growth, while the Consumer Healthcare and Medical Devices segment will continue to see slow growth. 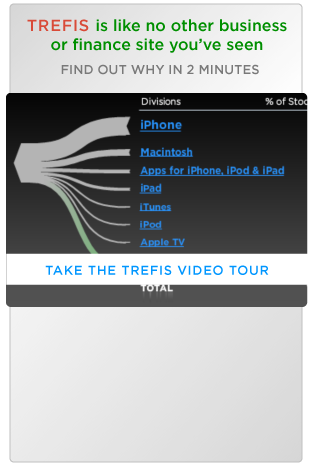 We have created an interactive dashboard ~ A Quick Snapshot of J&J’s Q3 Performance And Trefis Estimates For The Full Year. You can adjust the revenue and margin drivers to see the impact on the Trefis earnings and price estimate. Pharmaceutical segment sales of $10.3 billion grew 6.7% (y-o-y), primarily led by a solid 36% growth in oncology drugs sales. Within oncology, Darzalex grew 57%, Imbruvica 38%, and Zytiga 43%. Consumer Healthcare segment revenues of $3.4 billion were up 1.8%, as Wound Care and Baby Care products continued to see a decline in sales. Medical Devices sales of $6.6 billion were flat, as growth in Interventional Solutions and Vision Care was offset by a decline in Diabetes and Orthopedics. The company revised its full-year 2018 revenue guidance to a range of $81 to $81.4 billion, and an earnings range of $8.13 to $8.18 per share. We now forecast J&J’s Pharmaceuticals revenue to grow by 12% in 2018, primarily led by a continued ramp up in oncology drugs sales. Three key oncology drugs, Darzalex, Imbruvica, and Zytiga, have seen strong growth in the recent past, and this trend will likely continue in the near term, especially for Darzalex and Imbruvica, while Zytiga could face competitive pressure next year, as its patent exclusivity will end in Q4 this year. For the time being, Zytiga continues to gain market share in metastatic high risk castration sensitive prostate cancer. Darzalex and Imbruvica are also seeing growth both in the U.S. and international markets. The positive trends for these oncology drugs will likely continue in the near term, and we forecast a growth of 33% for oncology drugs revenue for the full year. Beyond oncology, we expect a strong growth in pulmonary hypertension drugs, which the company acquired through Actelion last year. Also, anti-infective, and immunology drugs, will likely see mid-single digit growth for the full year. Looking at immunology, a decline in Remicade sales due to generic competition will likely be more than offset by an expected growth in Simponi and Stelara, along with its new drug Tremfya. Anti-infective drugs’ revenue growth will be led by Prezista and Endurant. We forecast the Consumer Healthcare revenues to grow 2% to $13.6 billion for the full year, as an expected decline in Baby Care and Wound Care revenues will likely be offset by growth in Beauty, and OTC revenues. Note that J&J relaunched its Baby Care product line in the U.S., and this should aid the revenue growth in the coming quarters. Beauty continues to see mid-single digit top line growth, led by the Neutrogena brand. Looking at the Medical Devices segment, we forecast a 2% top line growth, as an expected decline in Diabetes Care, and Orthopedics will be more than offset by growth in Vision Care, and Interventional Solutions. The decline in Orthopedics can partly be attributed to the divestitures of Codman Neuroscience, and Prodisc in spine. Similarly, the LifeScan unit of Diabetes was also sold to Platinum Equity for $2 billion, and it will further impact the segment revenues in the coming quarters. However, Vision Care continues to see steady growth for its OASYS lenses, while Interventional Solutions is seeing strong growth in the electrophysiology business. In fact, electrophysiology grew over 23% in Q3, partly driven by the company’s new products. Overall, J&J’s Q3 results were largely in line with expectations, with a ramp up in oncology drug sales. We believe that oncology drugs will be the key growth driver for J&J in the near term. We currently estimate Zytiga sales to be around $3.5 billion and Imbruvica sales to be around $2.5 billion for the full year. We expect the company to post earnings of $8.20 in 2018, slightly higher than the upper end of the company’s guided range. We forecast a TTM price to earnings multiple of around 19x, to arrive at our $154 price estimate for Johnson & Johnson. This implies a premium of over 10% to the current market price.